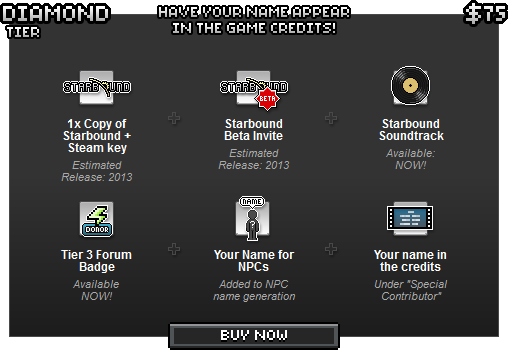 Starbound was made available for pre-order on April 13th, 2013. 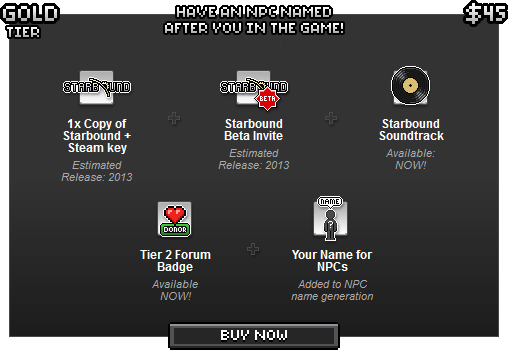 The Beta was released on December 4th. The game is now playable and available for purchase on Steam, and to those who pre-ordered the game from the Humble Bundle store. Pre-orders were available in tiers, with the base tier costing $15 and the highest for $2000. 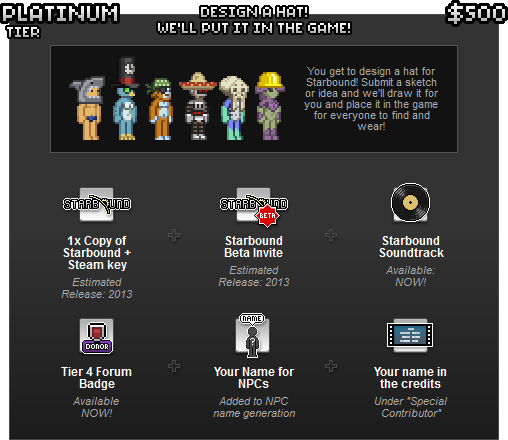 The top 3 tiers had limited availablity, but allowed buyers to design and add items into the game. 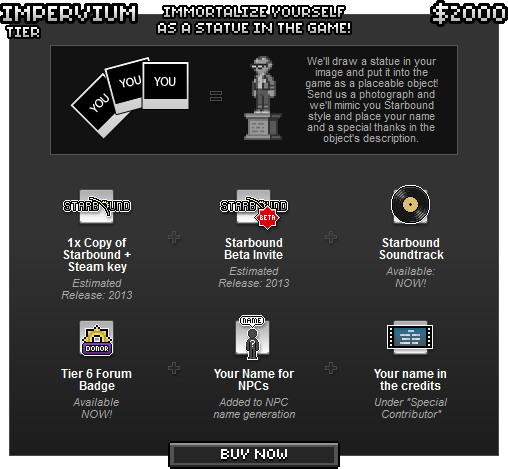 Announced shortly after pre-orders became available were stretch goals. 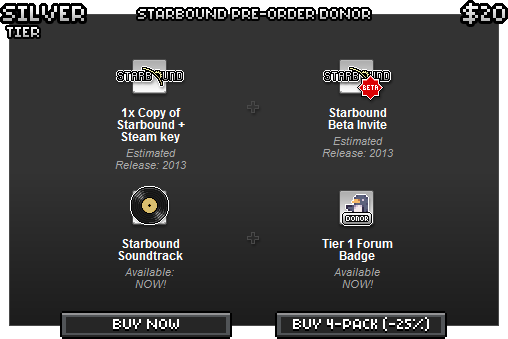 These goals were unlocked when pre-orders passed certain milestones of sales. These strech goals were additional features that would be added to the game before launch. They were the addition of the Novakid race, fossils, and starter pets. 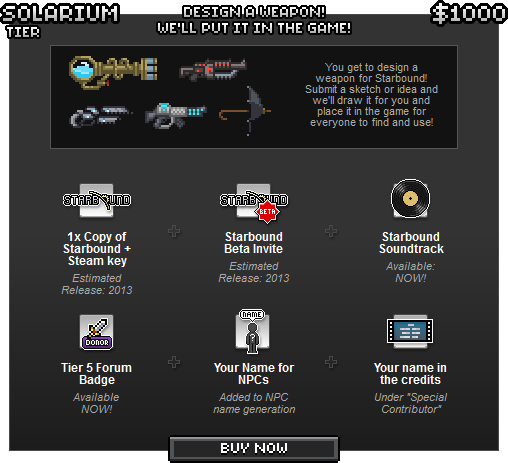 Backer designed weapons included in the game were implemented as Unique Weapons. This page was last modified on 17 August 2016, at 17:15.